These sessions give you a taste of the world that is Family Documentary Photography. For those of you who may be worried about an In-Home Session, let’s start in the backyard so you can see what it’s all about. I promise I won't even set foot inside your home. For those of you who are worried about being “boring” during your session, don’t be. There is always something exciting happening, even if it's just your everyday fun out your backdoor! There are no limits when it comes to capturing memories. When you go to a family gathering or have a fun get-together with friends, there is always someone who brings up a moment from the past. Could you imagine not having memories, what would people talk about? Life would be boring without memories! These sessions are about capturing the milestones where they truly happen and the in between moments we overlook. It's allowing you to be in front of the camera and a part of your memories. A quiet afternoon with your spouse will become a crazy adventure following your toddler from room to room. Trips to the park will turn into trips to the mall. Let's capture all of these moments now to keep as memories for a lifetime. You are in awe. You have this feeling of excitement and wonderment. You just brought this beautiful baby into the world. Life has changed for the better and a new journey has begun. 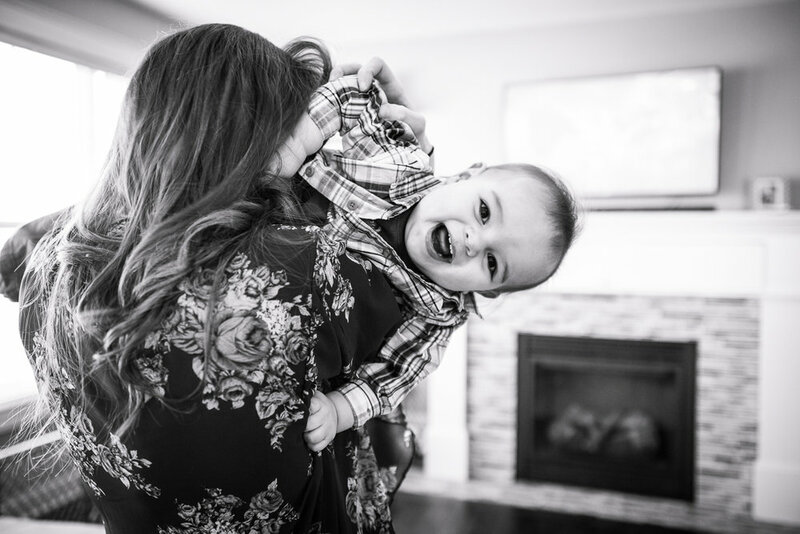 Fresh 48 sessions capture the beautiful first moments of your new baby's life. These sessions occur at the place of delivery within the first 48 hours. Your baby will be changing so fast, even within their first few hours after birth. Dad's first diaper change, mom's happy tears, wrinkly fingers and toes, nursing, meeting siblings and family members, or just gazing at the perfection of your new bundle of joy, let's make certain these moments are saved before they disappear. We all know that life moves at a rapid pace. We talk about where the time has gone or how our children could be so grown. Time is something that you will never get back. Capturing an entire day of your life (or even a half day) as it is right now will only become more valuable. Enjoy the company of loved ones, appreciate all of the tiny details, and preserve your life during this moment. You will love to see all of the changes in your family's routine through the years! So what do you get when you book a session? You get an excuse to slow down and embrace the little moments in your life. Whether it is a Short Story Session or full Day In The Life, enjoy doing your favorite things with the ones you love. Each image is carefully selected and artistically edited prior to your viewing. Includes the edited digital files in low resolution with print release, great for online sharing and small prints. High resolution files can be added at an additional cost. A video slideshow* of your images set to music, uploaded online to share with family and friends. A password protected online gallery with digital download and direct print ordering. For more information, please contact me or click the banner below! *A video slideshow is not available for Backyard Mini Sessions.